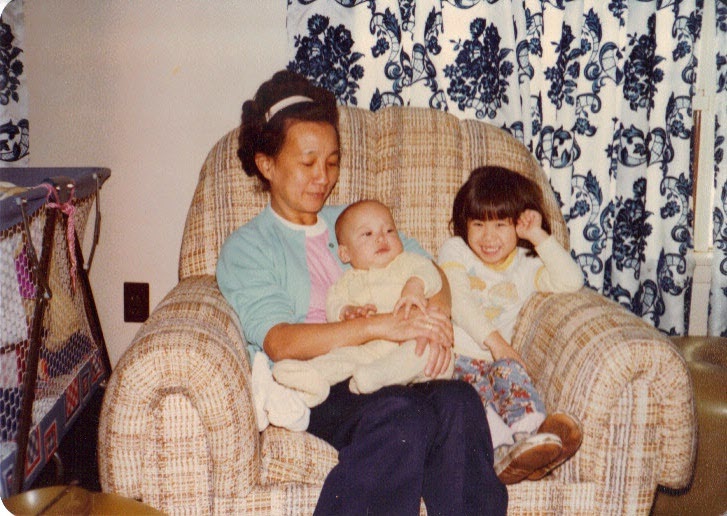 I wrote about my grandmother in a couple of earlier posts. She was “the strongest woman ever,” remember? Unfortunately, she wasn’t strong enough to survive a heart attack. She passed away in June. At her memorial service, the common theme among our conversations and shared stories was her strength – her strength of spirit; her strength of character; and, her physical strength. 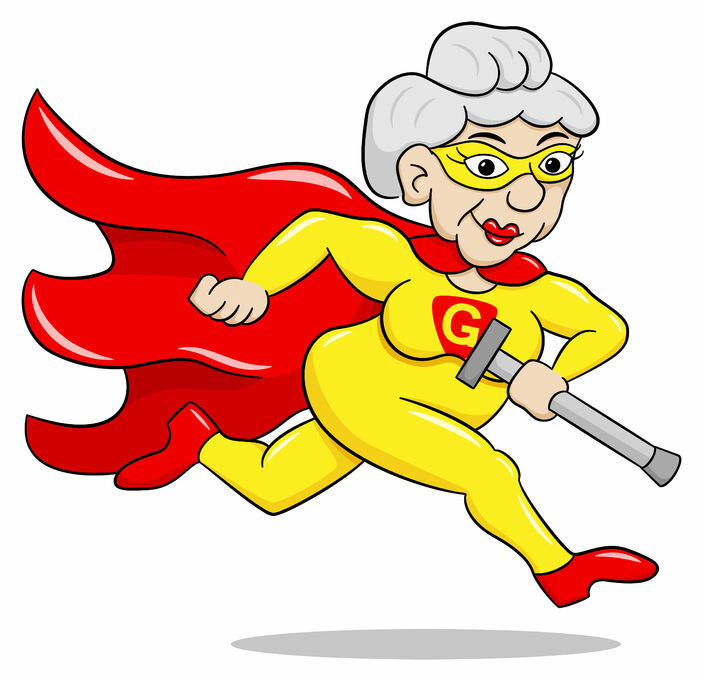 She has been known to climb rooftops during hurricanes; rescue children stuck in snowbanks; and armed with only a couple of cans of condensed milk, stop thieves from robbing her store. Still, every superhero has a weakness. For my grandmother, I think her weakness was her inability to express her feelings. Well, that’s what I thought two months ago. Let me explain. My grandmother wasn’t a cry baby. And, she didn’t complain. She kept her emotions of sadness and pain inside. In fact, the only time I ever saw her cry was when her sister-in-law passed away (and that was a shock to my nine-year-old self). All other times, she was successful at hiding her feelings. In some ways, I’m a bit like that. I often hold my thoughts in and find it difficult to share my true emotions. I could probably win an award for crying on command. I’ve been known to cry during episodes of Fresh Prince of Bel Air. With that in mind, I prepared a “light-hearted” speech for the memorial service. I wanted to tell everyone that my grandmother was like a box of sweet-smelling mangoes. I felt quite prepared to give a tear-free delivery, but was caught off-guard by my suppressed emotions and I shed a few tears. As I started to get emotional, I attempted to hold the crying in. The problem with that, I now realize, is that it will come out in some form or another. You’ve gotta simply let it out. Bawl. Blow your nose. Let the tears flow. But since I tried to stop the crying, I started to hyperventilate and then everything came out in front of 300 people, in the form of a SNORT…amplified throughout the room. I can’t express to you how mortified I felt. Add to that my ugly cry face and I was quite embarrassed. However, since it was a memorial service, no one laughed or even mentioned it. It’s an unwritten rule. After the memorial service, as I replayed the embarrassing details of my speech over and over in my head, as though that would lessen the sting, I realized that I actually have a superpower. I have the power to make people feel, with such intensity, that they are physically weakened. My snorts. My tears. My trembling lips. They all give me the power to bring a 200-pound, grown man to tears. And although my vulnerability and honesty could never stop a bullet, I am able to touch someone’s heart. It’s been a little more than two months since she passed away, but I still get teary eyed when I think about her in the hospital. I wanted to write this piece because I often used her “character” in my posts. This story, however, was meant to show that she was more than just a humorous anecdote. And so this whole writing process allowed me to reflect. It made me realize that she spent most of her life taking care of other people. And, that’s the reason she didn’t show her feelings; she was too busy taking care of other people…being strong for others. She wanted to be strong for us. Even at the end, when she was at her weakest point, she was her strongest. I held her hand, something I hadn’t do ne since I was a little girl. She looked at me and said, “I’m okay. I’m okay.” And so I left the hospital thinking I would see her at home soon. But, she passed away the next day. It took me a long time to finish this post. It’s been one of the most challenging and tear-filled posts I’ve written. But it’s helped me to let it all out. Bawl. Blow my nose. Let the tears flow. My grandmother will live on in our hearts. She will always be our very own superhero. A very moving tribute, and so well-written, Christina. My condolences, and congratulations too, on having such a wonderful grandmother. A blessing indeed. Thank you for your thoughtful comment, Cynthia!